If you are trying to soundproof a space, adding some acoustic foam on the walls is not going to help much. Remember that absorbing and blocking are 2 different concepts. 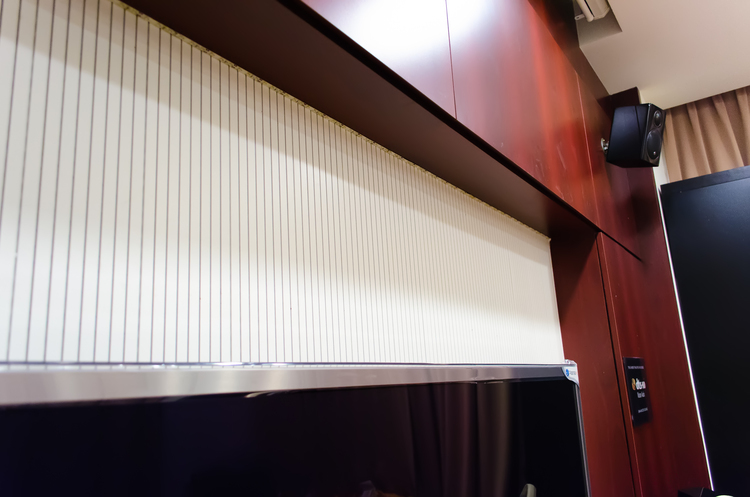 Our client wanted to add acoustic treatment that was unobstrusive yet effective for his dolby theatre. Based on this requirement, our engineers selected Topakustik wood cladding for its warm wood tones that seamless blended with the client’s rosewood cabinets. 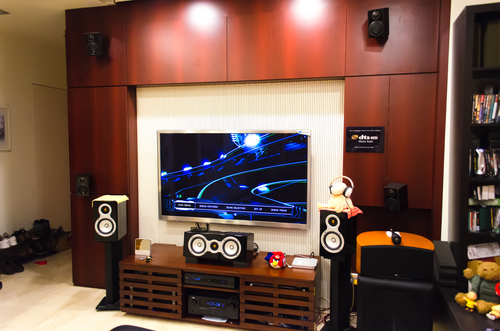 We also advised our client on proper vibration suppression, subwoofer positioning and provided calibration of the dolby theatre equipment in order to maximize the acoustic performance of the space. The final result was spectacular. The wood cladding highly improved the acoustic of the space while at the same time it delivered an astonishing outcome from a pure design point of view.